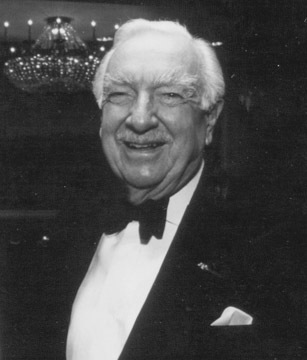 Walter Cronkite, the “most trusted man in television news” is an icon in the field of television journalism. He has spent 50 of his 60 years of broadcasting with CBS News. Mr. Cronkite has covered virtually every news event and his nickname “Old Iron Pants” is an affectionate moniker due to his unflappability under pressure. Mr. Cronkite’s accomplishments, both on and off air, have won him acclaim and trust from journalism colleagues and the American public.